A creek runs through it! Really it does have a small creek running through the property. 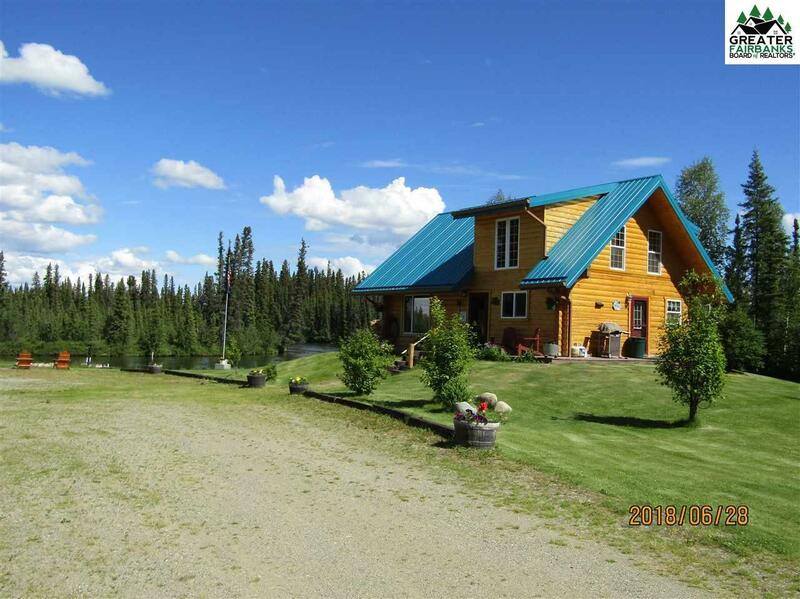 Almost six acres on one of the most sought after rivers in the Interior of Alaska. 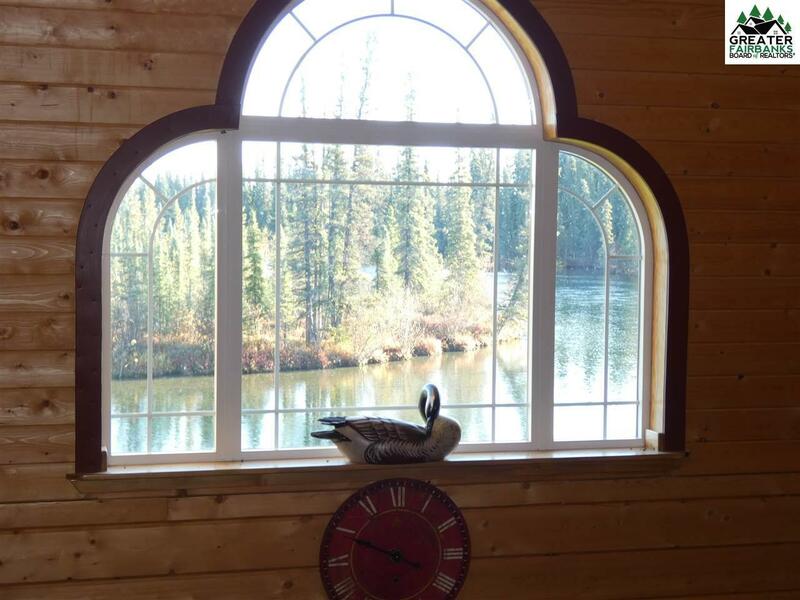 Beautiful log home with all the amenities and nearly a quarter mile of Clearwater River frontage. The largest lot and the most shoreline of any lot in the subdivision. Imagine your dream property and this is it. The Delta Clearwater River is the largest spring-fed tributary of the Tanana and supports a large population of Arctic Grayling. Fly fishing or floating down the Clearwater in a boat, kayak, or raft are popular summer activities. This crystal clear spring fed river is 20 miles long and flows into the Tanana River or Clearwater Lake. 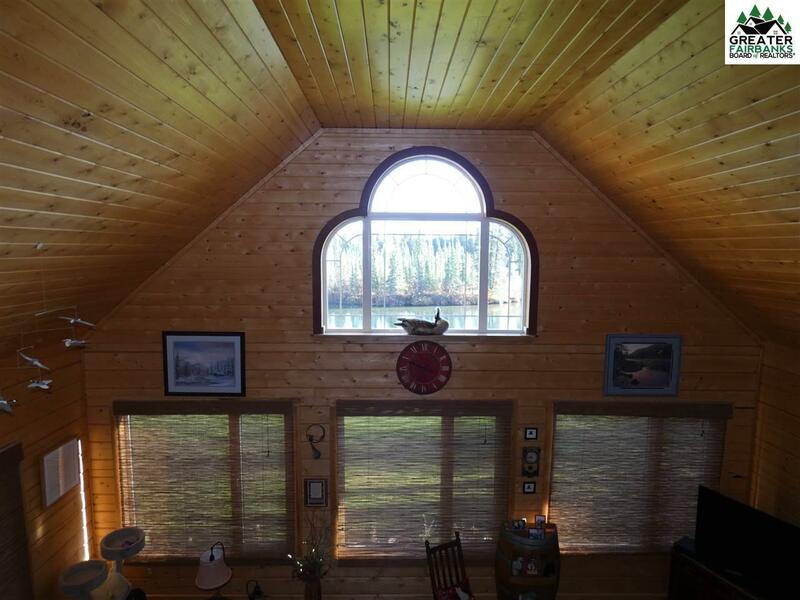 Log Home with roomy open living area and loft bedroom. Expansive windows overlook Clearwater stream and pristine wilderness. Detached garage, greenhouse, two insulated bunkhouse cabins, each with its own outhouse. Garage, carport, greenhouse, trails, beautiful lawn, trees, bridge over creek, excellent road access, private drive. This property has been developed with all of the loving care that only a craftsman/owner builder could give. Three sided logs, hardwood floors, modern kitchen, granite counters, quilted ss backsplash, ss appliances. Full bath, laundry, custom cabinets and touches throughout. Nothing run of the mill about it. Each of the two dry cabins is furnished with bunks, kitchenette, electricity and decks. Property is being sold with furnishings and everything you need to enjoy and care for it. 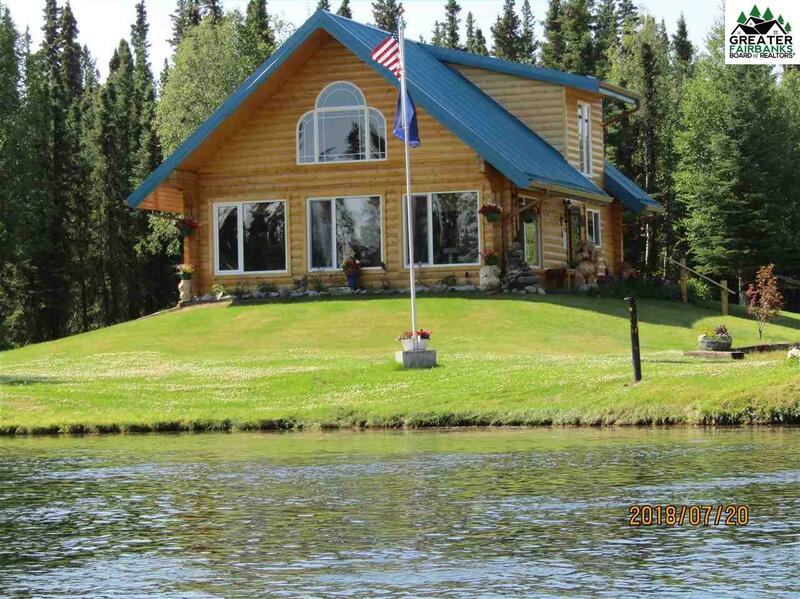 Includes boat and motor, tractor, furnishings, tools, and much more. Perfect for snow birders or for living year round. Added bonus: no property or sales taxes.